When you hear about the city of Westwood, CA, most people will attribute it to the location of UCLA. And as a Los Angeles native, I can say Westwood is pretty much just that, a college town. But recently my eyes were open to something that brings more to Westwood, and that’s a new escape room. 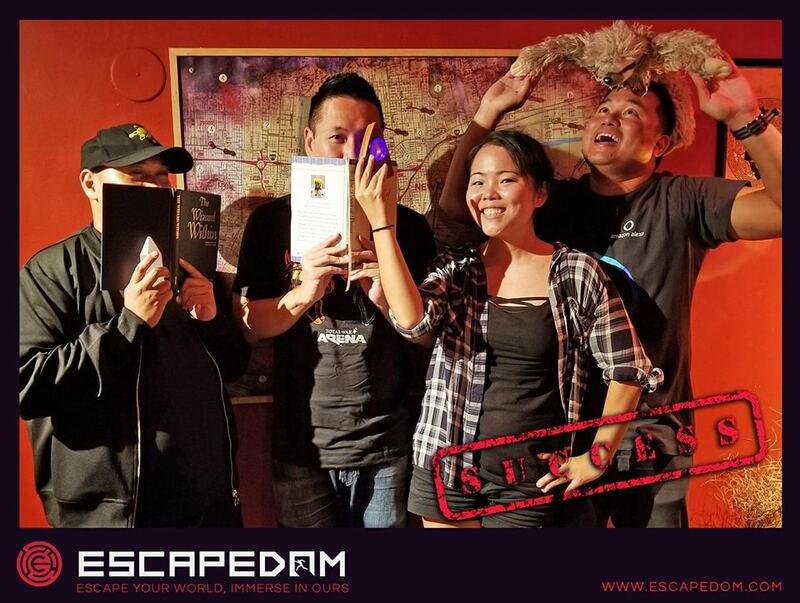 Nestled just a few minutes from the UCLA campus is Escapedom, a room that is home to two very creative escape rooms. Now I know you’re asking yourself, “Isn’t this the twentieth escape room you’ve reviewed? They must be all the same, right?” In some ways you’re correct. All escape rooms are the same in concept. You’re locked in a room and your task is to escape in the allotted time. But how you get there is where they all differ. 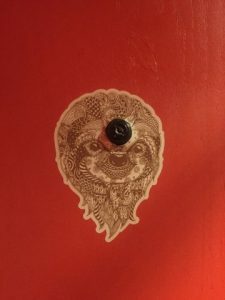 Escapedom gave us the chance to try two of their rooms: The Lair and the Den Of The Occult. (A third room is coming soon.) After going through some basic rules and a brief story, we went on our way to our first room. The Lair’s story has us as a new team of FBI agents sent off to the location of an infamous bomb-maker simply known as “the Dollmaker.” We’ve infiltrated his base of operations, but there’s only one problem. There’s a bomb somewhere hidden in the room, and it’s going to detonate in sixty minutes. The Lair is designed to give you the feeling that you truly are in a secret base of a bomb maker. It does a good job of mimicking just that. There’s no fluff here, just a straightforward design. One thing in the room I did find odd was that there was no clock. No type of timer was on display to let you know how much time you have left, and I for one enjoyed that. Most escape rooms I’ve done have a timer displayed that counts your time down. That can be seen as a distraction, and when you’re trying to escape, you don’t want any. They do replace the timer with a computerized voice that will tell you how much time you have remaining. The puzzles in the room range from simple to extremely difficult, which balances the room out tremendously. At times we would complete a puzzle and have no clue what it affected. This forced us to really observe our surrounding and figure out what was different or out of place. We successfully escaped from the room by the skin of our teeth and I’ll have to say that the very last puzzle was something that I’ve never seen before. This was the first time where a puzzle really completed the story of the room. It was like the icing on a cake or a speaker that you can turn up to eleven. It bumped up the sense of wonderment in the room just another notch. Our next room was The Den of The Occult. And before walking in the room, they tell us that our team of four might not be enough to escape. The Den is the hardest room of the two. There’s a lot to do and it’s non-linear. The story behind the room is that our team is responsible for finding a sacred crystal that is currently in the possession of a satanic worshiper. The crystal is hidden somewhere in her den and we don’t have long before she returns. (Fans of Harry Potter will enjoy the nod to the franchise). Just like the previous room, The Den’s design is quite beautiful, really fitting the motif of a person who practices in the mystic arts. Incense is burning and books feature magic and wizardry. Within ten minutes we are able to see why this room is much more difficult than the first. The puzzles here are not easy, and there are a few times where we had to switch off on puzzles to give them a fresh pair of eyes. Similar to The Lair, the Den did not have a clock that counted your time down. Periodically the game master would buzz in and tell us how much time we had. We had a very rough start to the room, and it felt like it took us nearly thirty minutes just to even get some type of momentum going. I was able to see why a team of four was not enough; there was truly a lot to do and some puzzles required more than one person. To be honest, every time the game master is announcing our remaining time, I thought to myself, “There’s no way we’re making it out of this one.” But suddenly everything is clicking and we were escaping just in time. In the end, after our celebratory dance, our game master had told us that a few of the puzzles we solved we had overcomplicated it. This is what makes escape rooms great. Regardless of how everything can be laid out for you, you always go with your gut instinct to solve puzzles. It might take you a little bit longer, but in the end, you escaped. As I stated in the beginning, every escape room is similar in concept. But what sets Escapedom apart from the rest is its distinct comprehension on how to give its players a sense of immersion. It doesn’t want you just to walk in and feel like you’re in every other escape room. It wants you to walk in and give you the feeling as if you were part of the story, stripping away the fact that just outside that room is a lobby that leads you outside to a business area. Escapedom is a little bit on the challenging side but is still suited for any level of expertise. 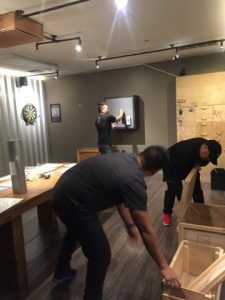 So if this is your first go at an escape room, prepare to flex your brain muscles. You’re going to need it. And we have a little gift to our faithful Reactorites. If you’re in the Westwood area and would like to try out Escapedom, you can use the code: NERDZRULE to save $3 on tickets. Visit escapedom.com to book your room today.